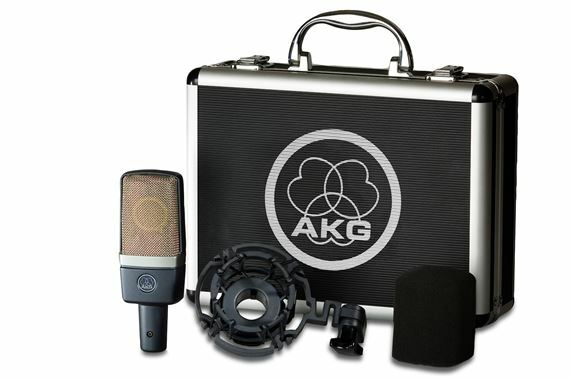 Shop AKG C214 Professional Cardioid Large Diaphragm Condenser Microphone from AMS with 0% Interest Payment Plans and Free Shipping. 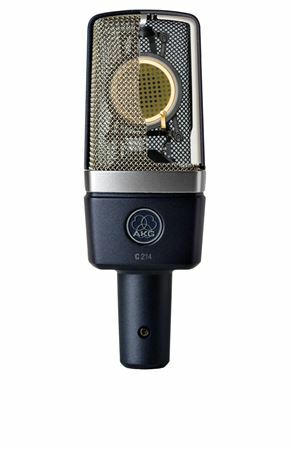 The AKG C214 Condenser Microphone is designed as an inexpensive alternative to other higher-end AKG Microphones. The C214 captures sound combining one side of the legendary C414 dual-capsule system and AKG’s patented Back-Plate Technology which results in an outstanding performance. 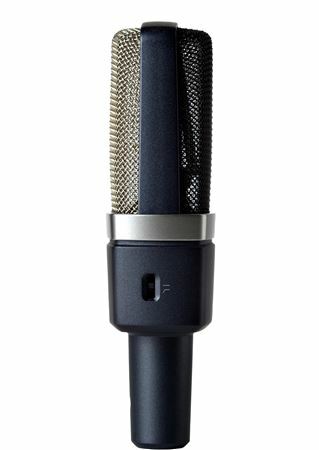 The AKG C214 is capable of handling the rigors of high sound pressure levels like those you will find when recording guitar amplifiers, while maintaining a sensitivity level perfect for vocals and softer instruments. This microphone boasts a 20 dB Attenuation pad, 13 dB noise floor, and a low cut switch—all in an elegant but rugged package. Besides, the C214 will also work on low phantom power voltages from 12 up to 48 volts. Available as a Single Microphone or as a Stereo Set Matched Pair. Best mic you can buy for your money, did a full 3 song EP with it that now has over 300,000 streams on spotify, you can ABSOLUTELY get professional industry standard results with this thing. Well worth the every penny! I wanted this to be a really good mic. Prior to this mic I had an AKG Perception 100. It was my first Condensor mic and I was hoping this would be an upgrade. This mic has the same sibilance issues I ran into with the perception. I kept it for a few months because I didn't want to believe my ears, but ended up selling it. I don't recommend this for lead male rap vocals. I am very pleased with this product, it has uplifted my vocal mix to a new level of professionalism. Buy two of these babies! These mics are built like tanks. It's basically a 414 but it's cardioid-only. Perfect for most of us home recording enthusiasts who want to get some really clean and professional-sounding tracks. The manual is really great. Easy to read. Great! I use two of these as overheads for drums. Just perfect! Sounds great on vocals, too...you just have to take away some of the high end and you're good to go.